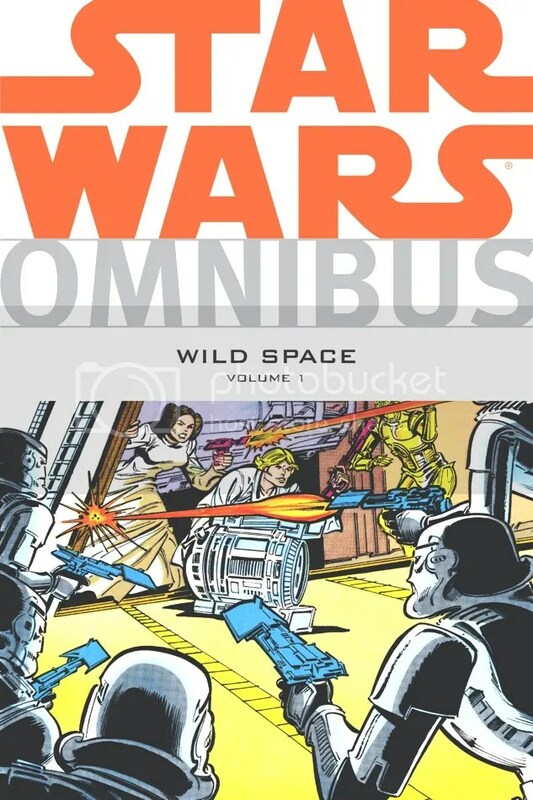 Today Star Wars Omnibus: Wild Space Volume 1 is out. This omnibus collects Alan Moore’s Marvel UK tales, the three issues from Blackthorne (originally in 3-D), stories from toy pack-ins, cereal boxes, Star Wars Kids and Pizzazz magazines, Star Wars 3-D #1–#3; Star Wars: Devilworlds #1–#2, Star Wars: Death Masque, Star Wars Weekly #60, #94–#99, and #104–#115, Star Wars from Pizzazz #10–#16, The Rebel Thief, X-Wing Marks the Spot, Imperial Spy, and The Gambler’s Quest from Star Wars Kids #1–#15, Star Wars: The Mixed-Up Droid, Star Wars: Shadows of the Empire Galoob minicomic, Star Wars: Shadows of the Empire Ertl minicomic, and Star Wars: Droids from Apple Jacks. Click here for a 12 page preview.